Person one: Halve the passionfruit and remove the juice and pulp. Mix with the chopped chilli, garlic, cumin, pepper and lemon juice. Set aside. Person two: Remove skin and any bones from the kingfish and slice into very thin slices (approximately 3mm wide). 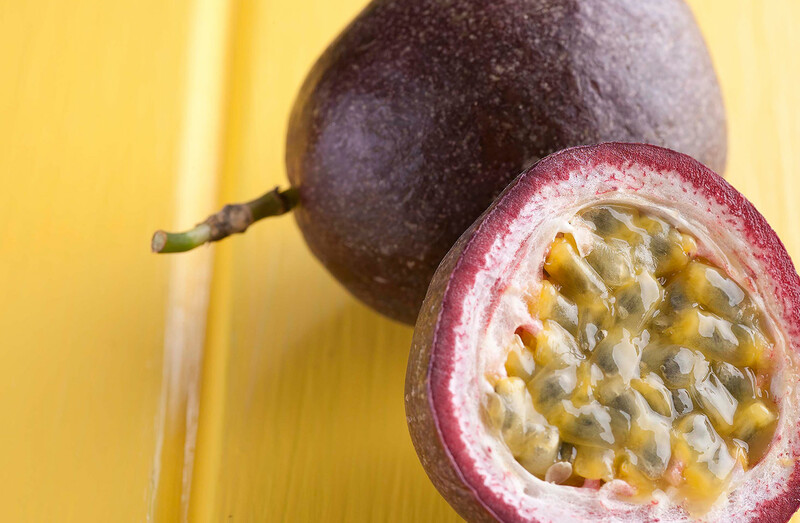 Place in a non-metallic bowl and pour over the passionfruit mixture, lightly tossing to coat. Cover and refrigerate for 1 hour or until fish has becomes opaque. 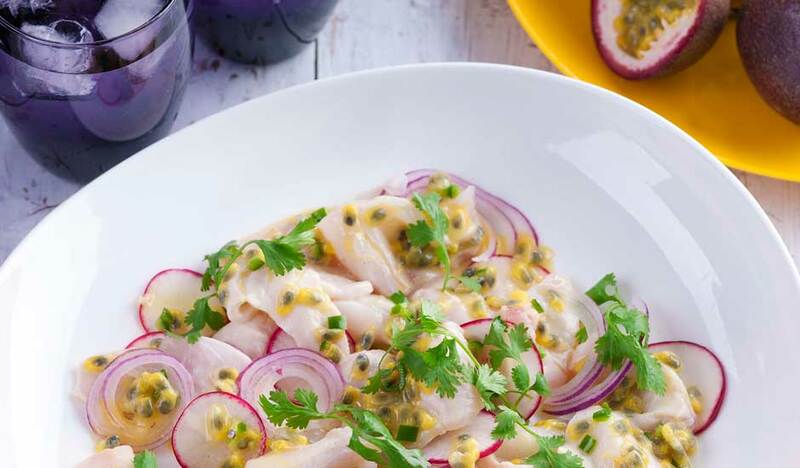 To serve, arrange the kingfish on a large serving platter with red onion and radish (if using). Drizzle with remaining passionfruit mixture and sprinkle with coriander sprigs. Note: serve with small slices of toasted baguette if desired, or wrap in baby butter lettuce leaves.